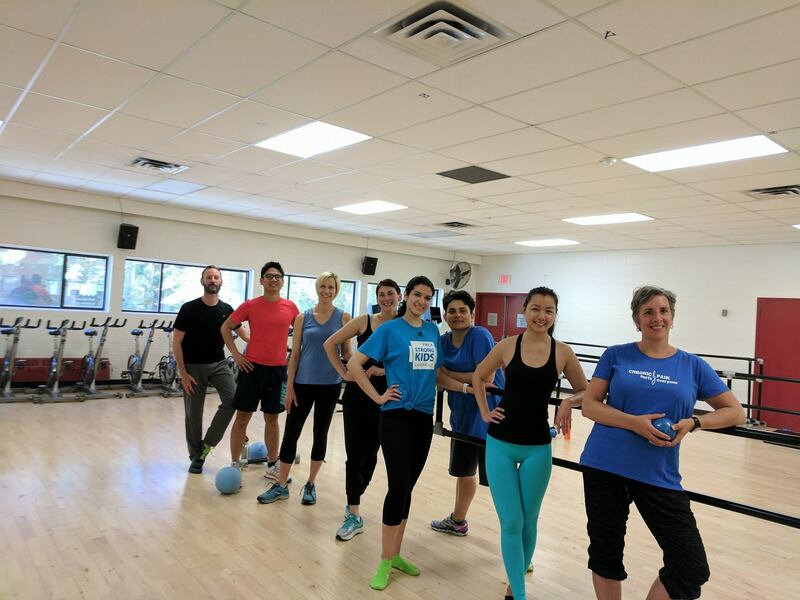 On June 11th, members of our team took to the local YMCA to participate in Pain BC's MOVEment Day fundraiser. It was fun, got our energy up, and was a great team-building experience. We even raised some money for Pain BC's programs in the process! We were joined by people in various parts of the province who had pledged to move as part of MOVEment Day. They walked, they rode, they danced, they gardened - all in support of raising awareness about chronic pain and its impacts. Thank you to everyone who participated and to those family members, colleagues and friends who sponsored them. While we could have just showed up at a local gym, MOVEment day provided an opportunity to talk partnership with the Y and opened the door to a conversation about how we might work together. The conversation is still unfolding but this approach - leveraging the power of our partners - is key to how Pain BC works. We're working with organizations and individuals across the province to kickstart local initiatives that make a difference in the lives of people in pain. A great example of this is a partnership with community members and groups in Tofino. There, our Community Engagement staff approached a broad range of stakeholders to explore what could be done about pain in the remote communities on the west coast of Vancouver Island. Everyone agreed that a gentle movement program was needed. In collaboration with Carley Grigg, physiotherapist for Island Health, local health care providers, community partners, and physiotherapist and pain expert, Neil Pearson, Pain BC co-developed a free 7-week Gentle Movement and Relaxation class series. We know that specialized pain services are few and far between in BC. People in remote communities often have to travel hours for specialist care, something that can aggravate their pain. This program, designed specifically for people with persistent pain, teaches people to use movement safely and mindfully as a pain management practice. The class series ran for the first time in the fall of 2016 in three locations – Tofino, Ucluelet, and Hitacu (a First Nations community) -- and is continuing to run in 2017 in Tofino, Ucluelet and Ahousaht. The program supported participants to move more in their lives, enhancing wellness and building confidence. How has the program impacted people in pain in the community? It has been very well-received, with an average “helpfulness” rating of 8.2/10 by participants, and 19 out of 20 respondents from the first series saying they would recommend the class to others. Community groups have been inspired by the process and are joining forces to improve the lives of people in pain on the west coast of the island. The Clayoquot Biosphere Trust has contributed $8,000 in program funding for 2017. The Pacific Rim Hospice Society has joined the effort and started a walking group for those living with chronic pain or those living with depression, anxiety or grief. Local health care providers and yoga teachers have learned more about pain science and how to support safe movement for those living with pain. We're grateful for local partners that make these initiatives possible, and to the Ministry of Health's Patients as Partners branch, for the funding that enables us to do this work. Has your community developed local pain programs or services? We want to hear about it and include it on our list of provincial services! Contact us today! Music therapists often work with people living with pain - both acute pain and chronic. 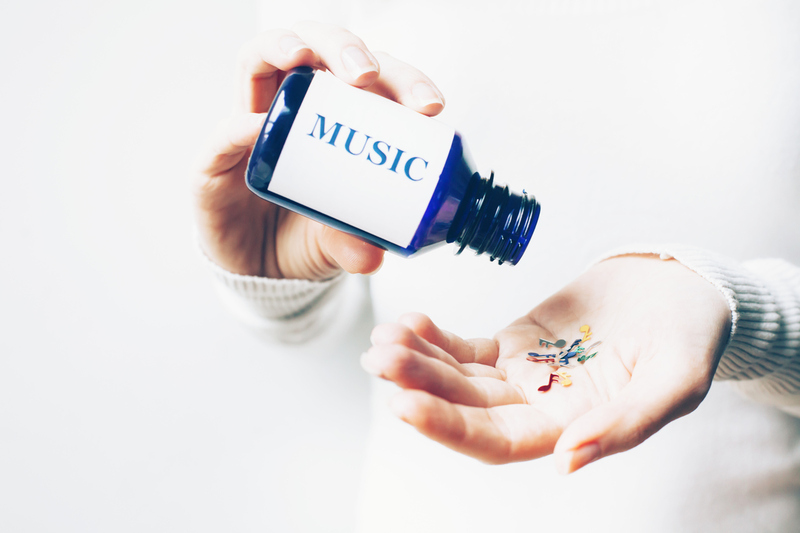 While many people with chronic pain say that they’ve already tried listening to music to help with pain and “it doesn’t work”, a certified music therapist can help you use music to ease anxiety, increase relaxation, and work through your pain. Music Therapist, Katherine Wright, says pain patients need to match the intensity of their pain with music intensity. This means that if you’re really uncomfortable, listening to a song like Kumbaya will be a major irritant. Instead, she suggest angry rap music, heavy metal, intense classical music (such as Mozart when he wrote his own Requiem…thinking he was about to die), or heavy-duty dance music. Once you have been listening to that music for a few minutes you can reduce the intensity to something that’s a little less intensive, such as “Moves like Jagger” or the first movement of a Mozart symphony. Then after that you might feel like listening to a ballad, or slow classical music. It’s very individual and it has to be music that you find pleasant. Once you match the intensity of your pain with intense music, then you can gradually decrease the intensity of the music, and choose slower, more mellow songs until you get to the really relaxing stuff. 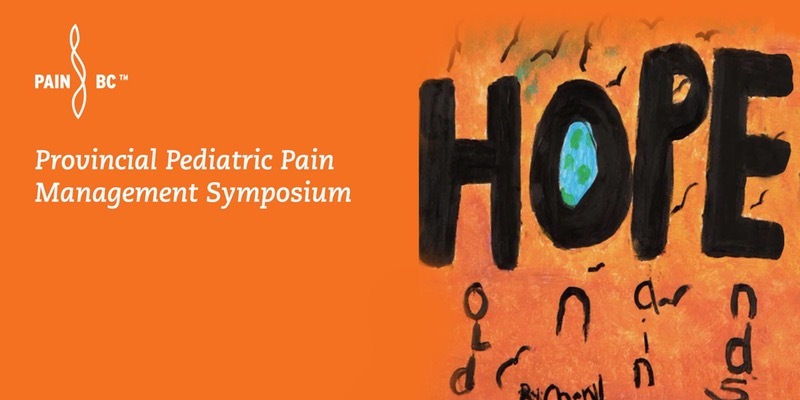 Join BC Children's Hospital Department of Psychology, UBC’s Department of Pediatrics and Anesthesia, Pain BC and the Arthritis Society for an educational event focused on best practice pediatric pain management. The symposium is designed for all health care providers (e.g. physicians, nurses, psychologists, physiotherapists, social workers, and occupational therapists) to enhance expertise in the field of pediatric pain assessment and management. Health sciences students and residents are particularly encouraged to attend to build their skills early in their careers in chronic pain assessment and management in children and teens. People living with pain and their families and friends are also welcome to attend. There is a free/by donation evening talk on September 22 that is specifically for the general public. Find out more or register now! Langara College's 80-hour certificate program is designed to bridge the chasm between modern pain science and yoga in an academic setting. This program was developed specifically for yoga teachers and healthcare providers to advance their knowledge in the field of pain management through the application of yoga techniques, philosophies and practices. Students will learn to conduct group classes and individual sessions with a focus on restorative yoga and therapeutic breathing for pain management, and mindfulness based stress reduction techniques. Find out more about the program and upcoming info sesssions! In this presentation, Dr. Jason Busse will summarize the 2017 Canadian Guideline for opioids in the management of chronic non-cancer pain. 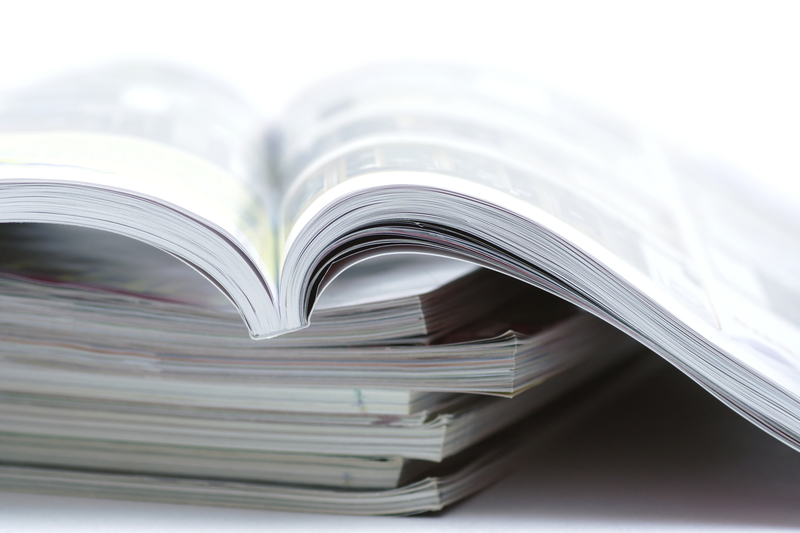 Specific topics of discussion will be the guideline’s recommendations, management of both financial and intellectual conflicts of interest, incorporation of patient values & preferences, and strategies to optimize the interpretation of evidence. For more on CHANGEpain's self-management courses, visit CHANGEpain.ca. This webinar features Professor Diane Gromala, a technology expert who has suffered from chronic pain for several decades. She will discuss the potential of diverse technologies and interaction design in helping to improve the lives of people with long-term chronic pain. Register Now. Pain BC is a program partner for the Chronic Pain Webinar Series hosted by the Canadian Institute for the Relief of Pain and Disability. This webinar will teach health care providers how to navigate the the strong emotions of patients while building the relational aspects of care. Join BC Children's Hospital Department of Psychology, UBC’s Department of Pediatrics and Anesthesia, Pain BC and the Arthritis Society for an educational weekend on best practice pediatric complex/chronic and acute pain management. Includes a free public talk on Friday September 22. This workshop is for Chiropractors interested in developing or enhancing sound clinical skills in the assessment and treatment of people living with complex and chronic pain. This workshop is for Occupational Therapists interested in developing or enhancing sound clinical skills in the assessment and treatment of clients living with complex and chronic pain. This one-day, in-person workshop for Registered Massage Therapists will provide knowledge and practical skills to better treat clients living with persistent pain. New research in the U.S. has found a dramatic increase in suicides among men over 50. The factors are complex, but chronic pain is considered to be one of the main ones. Artificial Intelligence and Brain Imaging: An Objective Way to Measure Pain? Pain is a subjective experience, and the only way to gauge that experience is for patients to self-report how much pain they feel, but some researchers hope that patterns of brain activity, viewed with brain imaging technology, might one day serve this elusive role. A new animal study, published in the journal Nature Medicine, suggests that sleeping more and drinking coffee rather than taking analgesics can help reduce the intensity of chronic pain. A Windsor, Ont. woman who relies on prescribed narcotics to help with chronic pain believes "responsible" opioid users are being unfairly victimized in the government crackdown on drugs like Fentanyl. © 2017 Pain BC Society. All Rights Reserved. 3300 - 910 West 10th Ave.